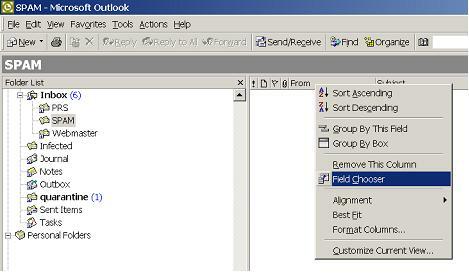 Read Outlook email, including attachments, without firing the read receipt, even on corporate email systems. 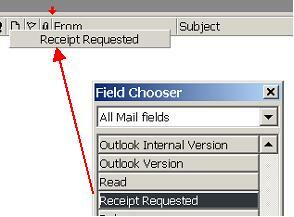 Read Receipts are messages that confirm to the sender that the email he sent was read by it's recipients (PIC. 1). The internet email protocol doesn't enforce them so they depend on the software being used to read email and can be easily switched off. Corporate users are not so lucky. Their Read Receipt system is server based and therefore cannot be switched off by the end users. They can only avoid sending them as long as they can avoid reading the email. 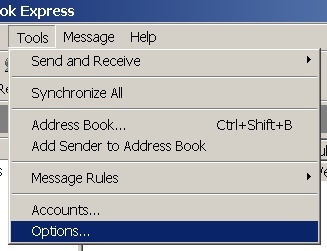 It is possible, however, to activate a combination of options that will allow the user to read the message, including attachments, without setting the message as read on the system. The Read Receipt, even if automatic, is not sent because, officially, the message as not been read. 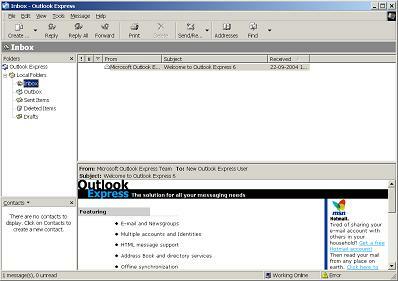 The article is intended to Outlook users, from version 97 to 2003, with both Corporate and Internet email. But it also covers Outlook Express, the free internet email client Microsoft bundles with Windows and Internet Explorer. While less common on corporate environments, it is used in many small and medium enterprises and therefore worth the inclusion. No other email client software is considered, besides Outlook and Outlook Express . 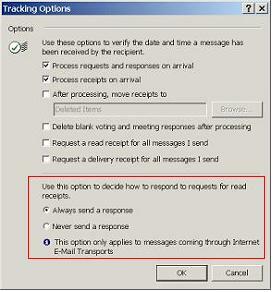 Outlook Express supports only Internet email, where read receipts are not standard. Therefore, the email servers won't process them. 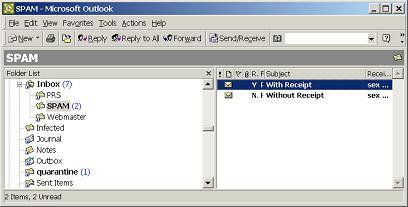 In this environment, users can request a Read Receipt when sending email, and the request will be included on the message. 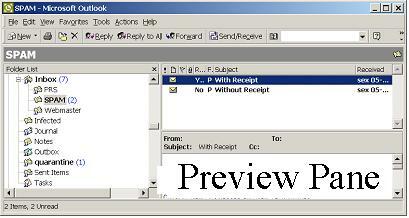 But it will be the receiver email software to send it, as an automatic reply (email) message. 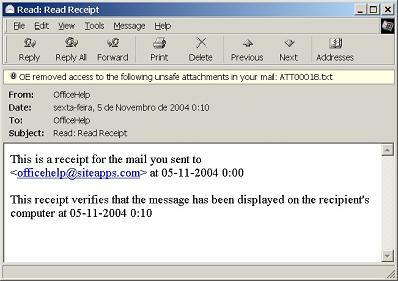 Since it is the receiver email software that sends the email, its user has complete control about it. 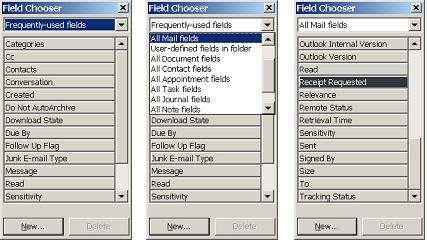 The default option, on Outlook Express 6, is the "Notify me for each Read Request". If this option is enabled, every time an email message arrives with a Read Request, you will be prompted for permission to send the request (PIC. 6). You you don't want to send it, just press the CANCEL button. You can also opt to never or always send the Read Receipt. The default option is the recommended one. 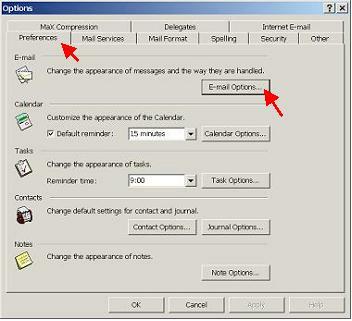 Microsoft Outlook can be used in two versions, Internet only and Corporate. The first one is common in domestic and SMEs, the later in larger corporations having their own email servers. 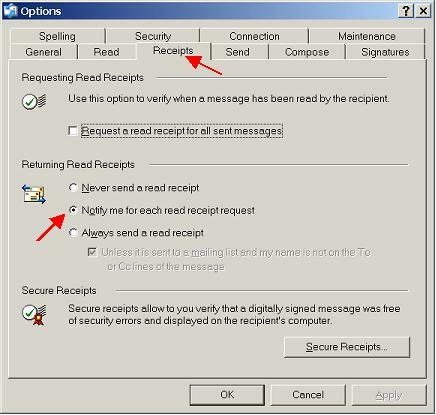 If you're using Outlook on a Internet Only version and want to manage Read Receipts on each message, turn them on (Always Reply) and use the same trick as the Corporate version (see below). Knowing which messages requested a Read Receipt is important. While the trick to read messages without firing them could be applied to all messages, with or without the receipt request, it is more cumbersome and limited than fully opening a message. The best option when the message has no receipt request (and therefore its opening cannot be tracked) is still opening it. d) The list will display on the desired position the receipt status, as a Yes (requested Read Receipt) or No. 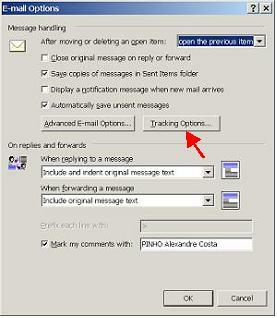 Warning: This procedure works by mail folder. 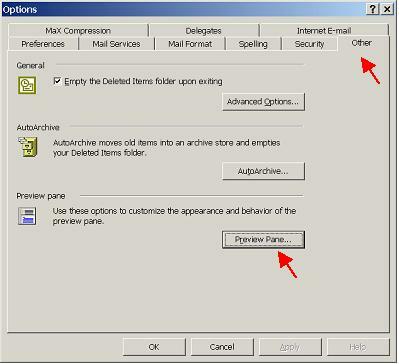 It will only affect the folder when it's done, and can be done on more than one email storage folder. 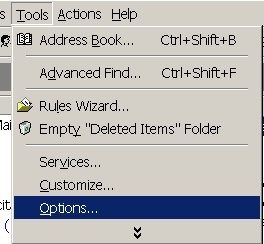 If you have rules splitting new messages by several folders, you will have to activate this on each. 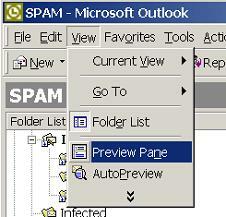 By default, Outlook will mark any unread message previewed on the Inbox (or any other folder) as read when selection changes to another message. This will fire the Read Receipt. Therefore, this default option has to be changed (disabled). 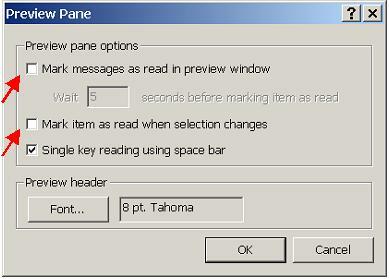 The Preview Pane option on the View menu works like a toggle, switching the Preview Pane on and off. Don't forget that these messages have officially not been read. Sooner or later you will have to (officially) read them or someone will complain that you do not read your email!!! Don't also forget that you cannot comment on the email content before you acknowledge its reading. Use this to manage WHEN to let others know you've read the email, not to FREEZE them unread until eternity. To mark a message as read simply open it (double click with the mouse over it).